It was an overcast Monday morning in August when a bunch of eleven children from Carlyle Kindergarten excitedly emptied from their taxi van to see the building of the new Museum, a place they would be visiting when they got to school next year. Derek, in his high visibility jacket, was the Gemco building site representative and our tour guide. He showed the children the different parts of the building from the safety of the perimeter. Outside the Louis Hay wing of the building I showed the group some old photographs of the building taken soon after it was built in 1937. We found out about the changes being made to bring back the Louis Hay part of the building to its original design. 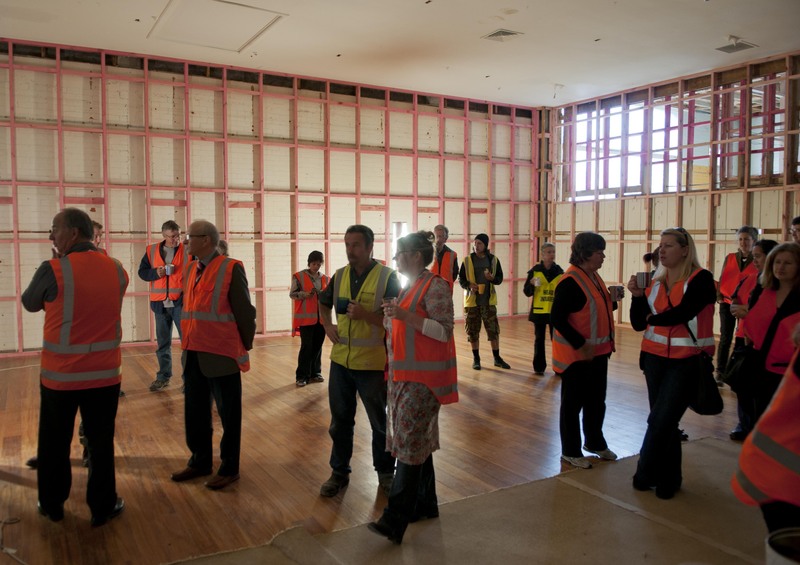 Next we looked into the distance at the old Council Chambers, now in its new site behind Te Pania hotel. The building looks as if it had never been elsewhere. Derek told us how that building had been sawn in half and moved in the middle of the night. As we moved along Herschell Street Derek talked about having to strengthen one of the walls so that an earthquake would not make it fall down, something that they hadn’t expected to have to do. We walked around the corner to where the main entrance to the Museum would be and saw interested things like scaffolding, rubbish chutes, and temporary staircases. The workers were stopping for morning tea so suddenly there were lots of people descending the stairs. Derek said there were at least one hundred people working on the site. He said the building was costing $18 million dollars and would be ready in about a year, by which time many of the children in the group would be at school. I said I would see them if they came to see the new Museum and showed them where the new Education classrooms were. It was time for the maxi taxi to pick up everyone, thank Derek and wave goodbye. I think some little ones would sleep soundly that night dreaming of their visit to the new Museum! In May, we began work on an eight month project to digitise part of the Hawke’s Bay Museum Trust’s photograph collection. As part of this process, around 7000 images will be scanned and catalogued in preparation for the launch of an online database in 2013. The collection is rich in depth and breadth, spanning over 150 years of Hawke’s Bay history and covering a diverse range of subjects including portraiture, the local landscape, and local events. It also includes works by a number of prominent New Zealand photographers, including Percy and Charles Sorrell. The aim of this project is to improve access to the collection, enabling researchers and members of the public to more easily search the collection. An area of the collection that has recently been digitised is a group of photographs donated by the family of prominent local architect, J A Louis Hay (b.1881, d.1948). 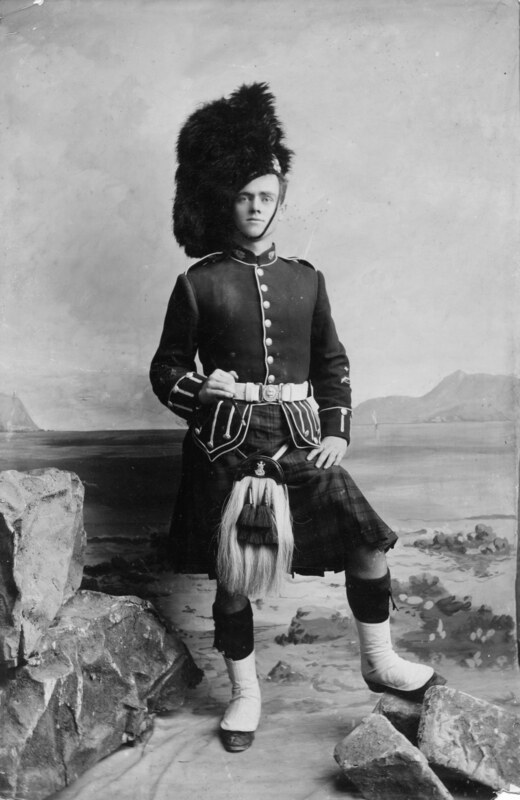 Portrait of J A Louis Hay as a member of a Highland Pipe Band, circa 1900. Born in Akaroa, Louis Hay settled in Napier in the early 1890s. It was here that he began his career as an architect, undertaking his apprenticeship with a firm owned by Charles Tilleard Natusch. 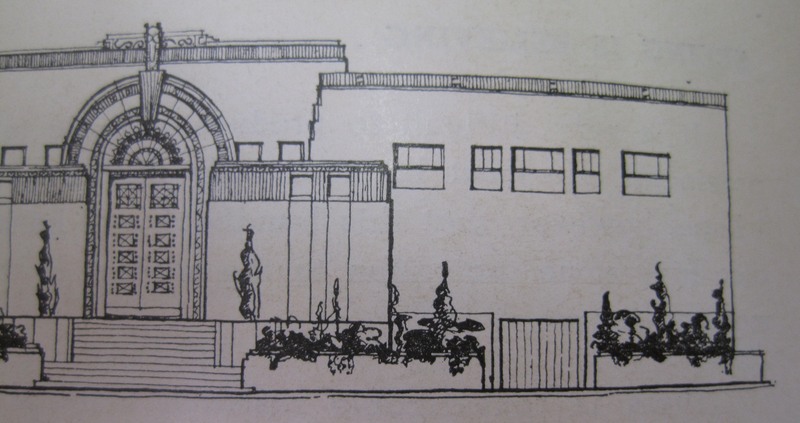 In 1904 he moved to Invercargill, but returned to Napier in 1906 to establish his own architectural practice. His practice gained momentum and the 1930s were a very busy time for him. However, due to ill health he did very little work after 1940. Consisting of over 90 images, the Louis Hay collection provides an important record of the buildings and structures that he designed throughout his career. 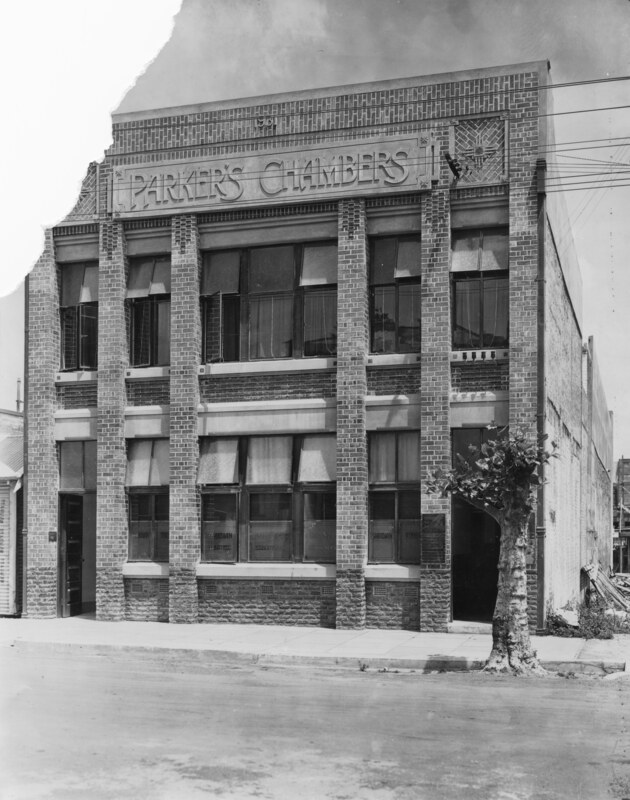 Among the many buildings that are represented within the collection is Parker’s Chambers on Herschell Street, Napier. 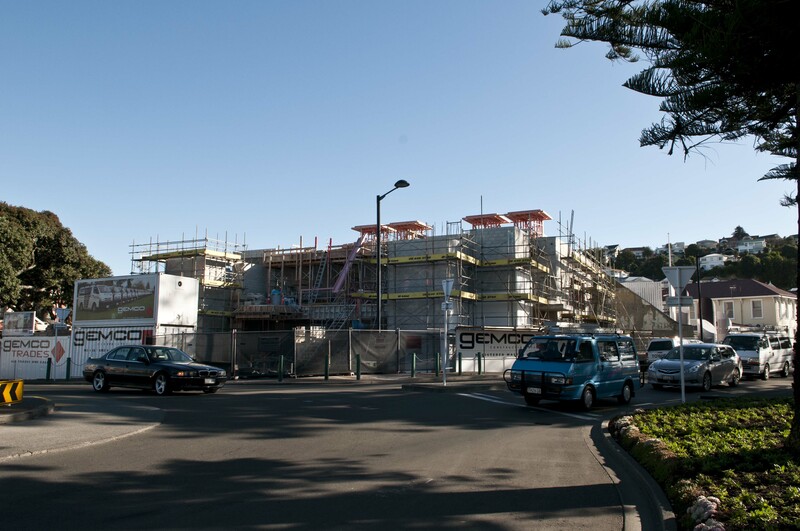 Originally completed in 1929, the building was damaged as a result of the Hawke’s Bay earthquake in February 1931 and was subsequently reconditioned, with the Herschell Street façade being reduced from three storeys to two. A series of photographs in the collection records the changing appearance of the building between 1929 and the early 1930s, including the process of reconditioning the facade. 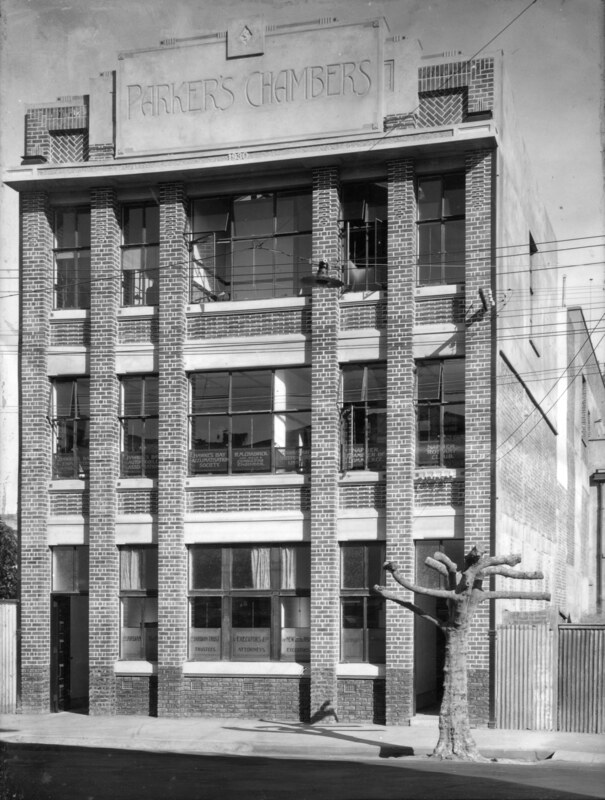 Parker’s Chambers, Herschell Street, Napier, 1929-30 and 1931-32. The Frank Moodie Collection is another significant group of photographs. Francis Lizar Moodie was an architect from Auckland. He started a partnership with his former teacher and fellow architect Arthur Pollard Wilson (b.1851, d.1937) in 1910 and by the 1920’s the firm had become Wilson, Moodie and Gillespie. The collection was donated by an Auckland resident and records in comprehensive detail the buildings damaged in the 1931 earthquake and the destruction that touched the entire Hawke’s Bay region. 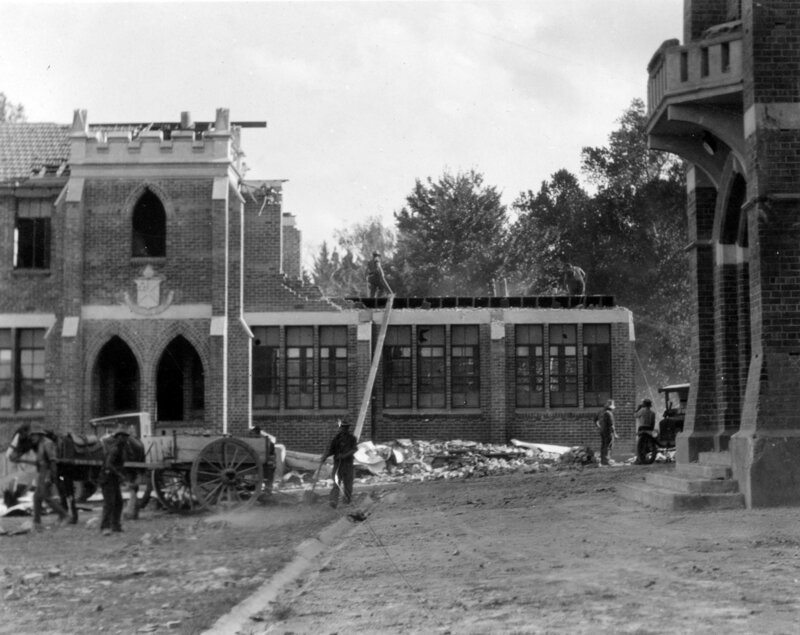 Moodie’s photographs tend to be taken from a more structural view point; many of them have notes on the back about how the building was constructed. After cataloguing nearly 150 images attributed to Moodie it is possible to see trends in those buildings that survived the quake and the ones that did not. While the earthquake is one of the most well documented events of our local history, Moodie’s collection is significant in that it includes images of Hastings and wider Hawke’s Bay, as far south as Te Aute and Waipukurau, giving a wide ranging overview of the damage to the region. In the centre of the image is the College Hall, which was part of the Fergusson block. Just visible at the right is the Jellicoe (northern) wing. 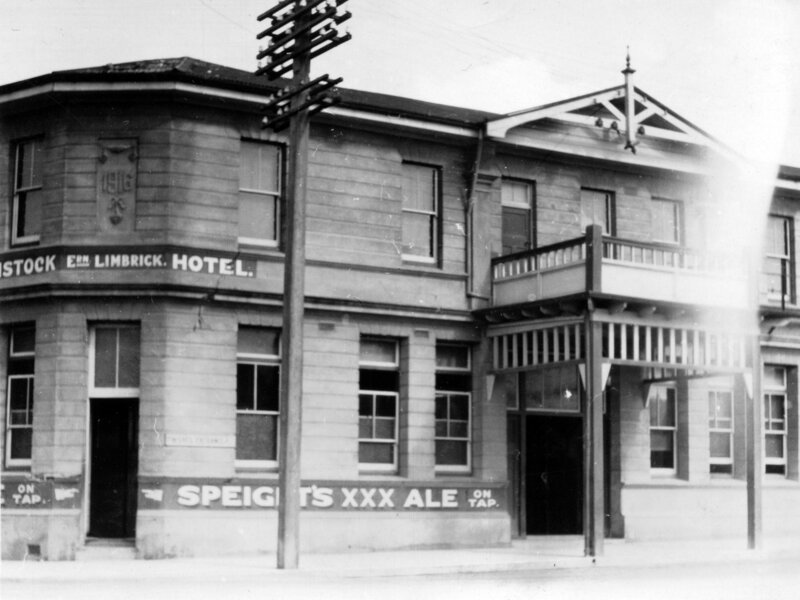 The Tavistock Hotel on Ruataniwha Street in Waipukurau after the Hawke’s Bay earthquake on the 3rd of February 1931, it still stands today. 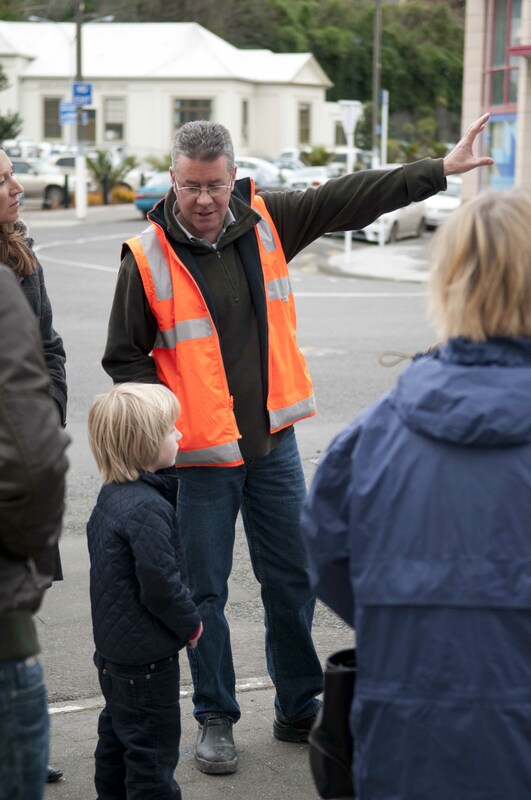 In contrast to the quintessentially Hawke’s Bay images featured in the collection there are many images whose subject matter lies beyond the district boundaries, often recording events of national historical significance. Settlers and immigrants that participated in events outside Hawke’s Bay have contributed photographs from other regions and these provide a national context to the collection. Many of these early documentarians later settled in the province of Hawke’s Bay and became regional identities. One such local identity was Dr William Isaac Spencer (b. 1831, d.1897), a contemporary of William Colenso and Augustus Hamilton. Within the larger Spencer Family collection of archival material and objects generously donated by the family is a significant photographic collection. Whilst most of this material portrays the family’s later Napier life, there is a small collection of material relating to the New Zealand Wars. Spencer was an assistant surgeon for the 18th Royal Irish Regiment and was involved in military campaigns in Waikato and Whanganui. 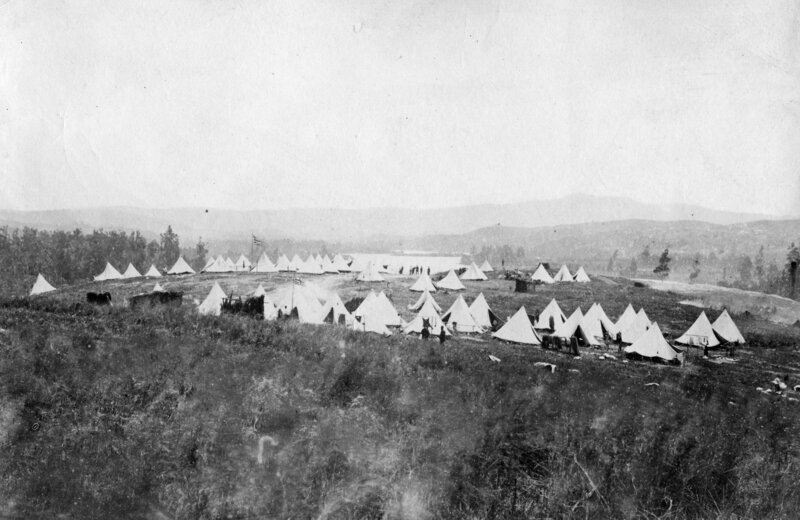 As an amateur photographer he captured many images from this period, typically of landscapes and encampment life. In fact, many of his images appear to shy away from scenes of conflict and its aftermath, or the gritty reality of his work as a surgeon. Instead, his images are often taken from the margin, in moments of stillness and calm, skirting climactic events. Images of camp life appear idealized and are set either against idyllic bush scenes or dramatic landscapes. Few of the images include people. Spencer’s photographs of this period are largely albumen prints. Albumen paper was the most affordable and widely used photographic material in the second half of the 19th century. These prints use the albumen of egg whites to bind chemicals to a paper surface. As such they are extremely fragile and subject to deterioration. 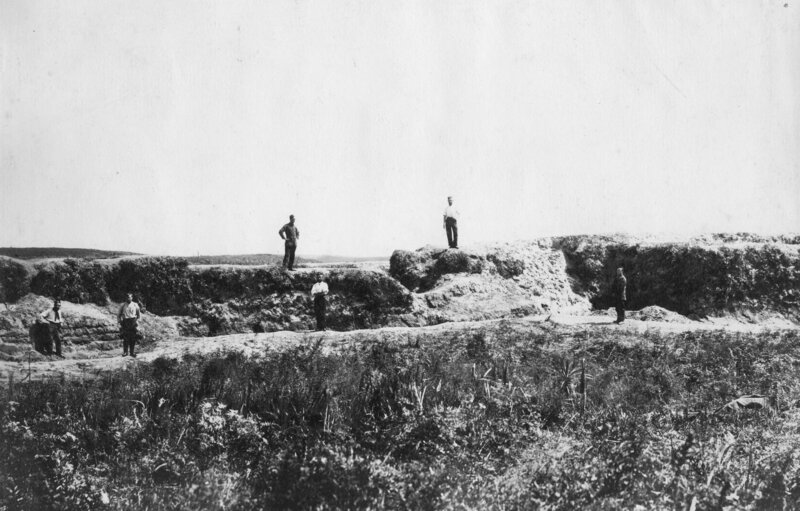 Rangiriri Redoubt, November 1863, Photographer: Dr William Isaac Spencer. 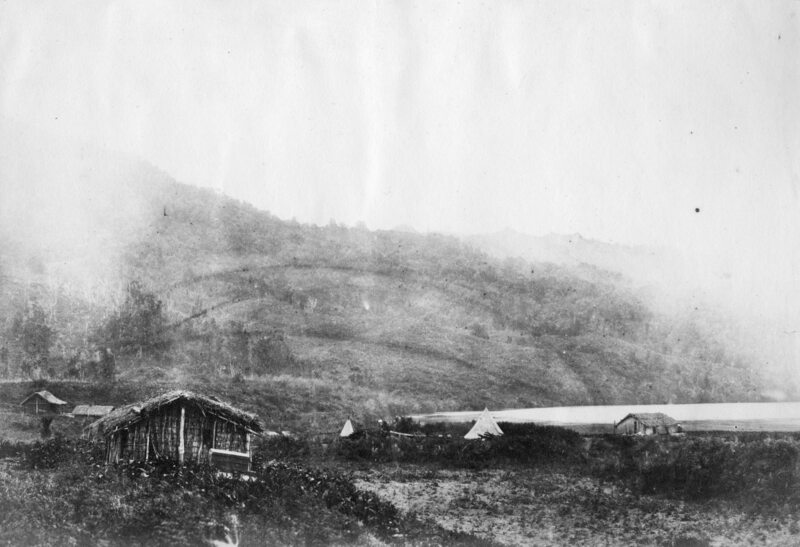 Ngaruawahia, December 1863, Photographer: Dr William Isaac Spencer. We are excited that the digitization of these photographs will make them accessible to a wider audience. The scanning will also help preserve the images by reducing handling. 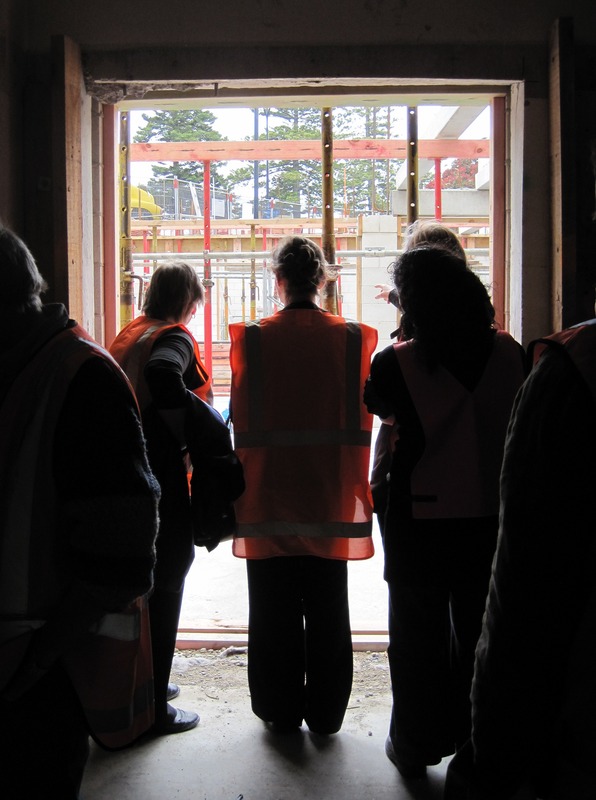 At the beginning of June, HBMAG Team Leader’s had a walkthrough of the museum site with the opportunity to look at the progress of the redevelopment. The last time we visited was in December 2012 when the new wing was at basement level. This part of the building has progressed significantly – the basement, ground floor and first floors are now in place, with the first floor roof due to be completed shortly. It was a weird feeling wandering around the building, but one of much excitement. Some spaces the Bestall Gallery and Century Foyer were familiar, although lacking their usual life. I remembered back to when we were open, abuzz with visitors and the galleries full of the collections we know so well. Planning is already well under way for the collection and visitors to return, but for the first time I got a real sense of what the spaces were going to be like. In the new wing’s main foyer and entrance on the ground floor I could now imagine staff standing at the reception desk, facing toward Tennyson Street welcoming visitors to the building. As I stood where the desk would be, I thought to myself that it may be challenge to remain focused with this fabulous new vista looking out towards the Soundshell, the Dome, and glimpses of Hawke Bay’s iridescent blue water beyond. We visited the new education suite, located just off the foyer. I tried hard to imagine the walls that would contain the two teaching spaces. 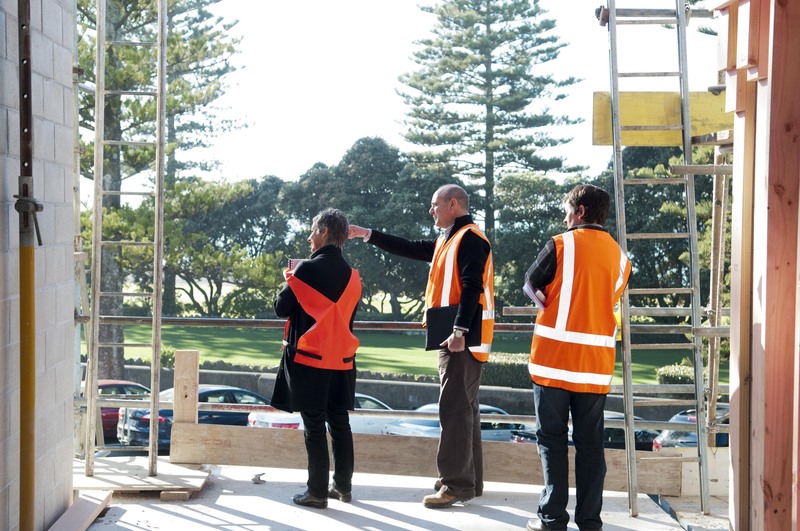 Students visiting the Museum will have some of the best spaces in the new building with full height windows framing beautiful views on to Marine Parade. I could hear the chatter of children’s voices as they excitedly sat waiting for their teachers and for lessons to begin. I couldn’t wait to see the first floor galleries. We had to go outside the building footprint and ascend on steps as the internal stairwells were not yet competed. I carefully held the hand rail and make my way up to the floor above. What occurred to me when I stood on the Balcony Gallery was what a fabulous space this was going to be for our visitors. I walked into the two large galleries on this floor imagining the fine art collection surrounding me; visitors wandering around the space delighting in the paintings displayed on the walls. As I walked out of the main galleries I headed towards the stairwell on the Marine Parade side of the building. 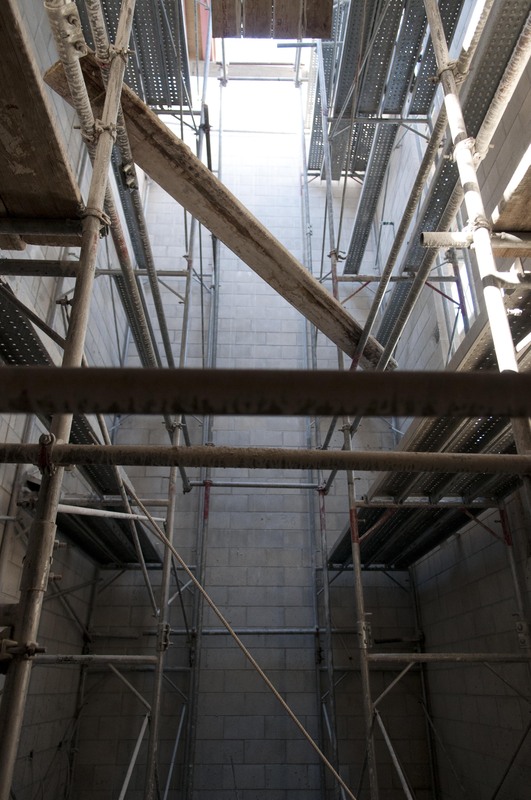 The stairwells will be one of the most striking features of the new building – large cases, nine by three metres will span the height of the three floors and will be dedicated to displaying the HBMT’s collection. For some reason I imagined a large, glorious kimono being hung in front of me in the top section of the case. As I approached the balcony overlooking the case, the lighting drew my eyes to the treasures below, enticing me to go down the stairwells and explore further. 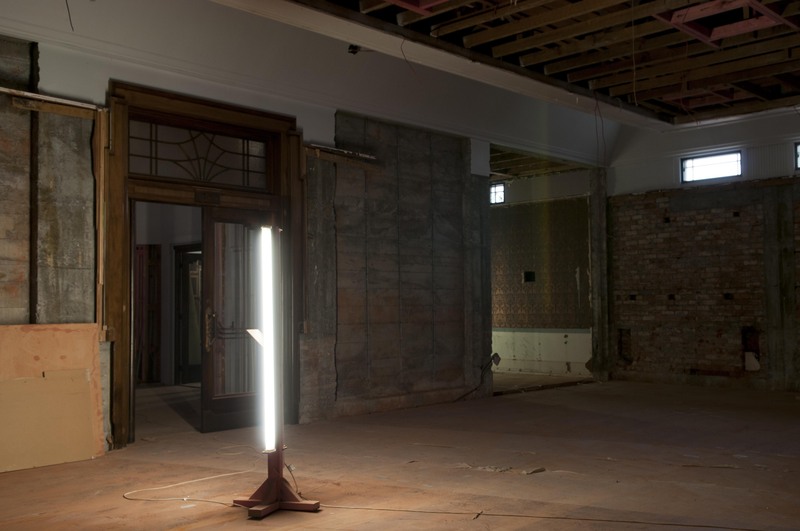 We made our way downstairs to where the new 1931 Hawke’s Bay Earthquake exhibition will be located – it was very dark with only a string of light bulbs draped across the space. 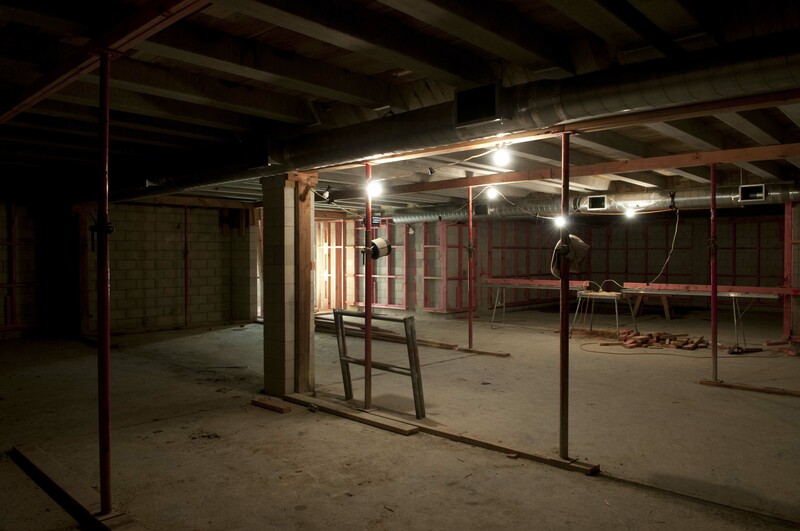 We asked the builders to turn the lights on; once they did the gallery felt bigger than it did on the plans. Some of the team got out their measuring tapes to check dimensions now we could get a feel for this space. It felt contained and the ceilings are quite low. This was going to be a challenging space to work with – not unlike the subject matter destined for this gallery, however I know we would persevere and that visitors that see this exhibition will take away their own understanding of the significance of this event to Hawke’s Bay. 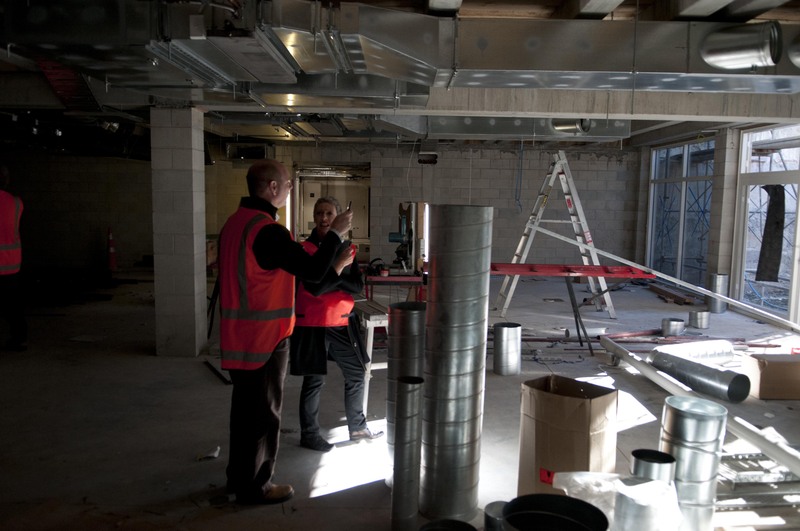 We continued our tour behind the scenes, past ceilings interlaced with large aluminium air conditioning vents, electrical and data wires trailing from place to place looking for their end outlet, offices walls in varying stages of completion. I imagine what it will be like as staff populate these spaces once again, busily getting on with their tasks – tables with collection objects being readied for display; then onto the Collection store with rows of treasures in neatly allocated shelving patiently waiting for their turn; other staff work at desks, papers piled high, coloured folders and to-do lists on whiteboards. It’s easy to imagine that when I follow this route to my new office on the Century Theatre mezzanine floor the enticing smell of coffee and fresh baking in our new café will be hard to resist. There is so much to do before I will make it up to that new office, many more months of planning but, it is exciting dreaming about the day the museum will be open again. I can’t wait to see all the galleries come to life and the collection once again taking centre stage. I am looking forward to welcoming back our visitors and being extremely proud of our fabulous new building and all the new stories we will have to share. Over the past couple of years, there have been some major disasters around the world. One often-overlooked aspect of these events is their effect on the heritage industry – the museums, galleries and historic places that are in the impact zone. 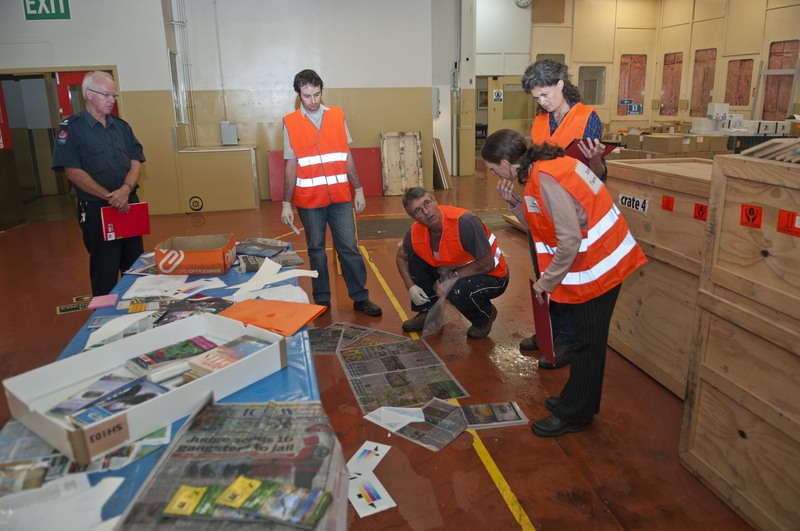 Staff practice the skills needed to recover paper-based objects after a small clean-water incident. 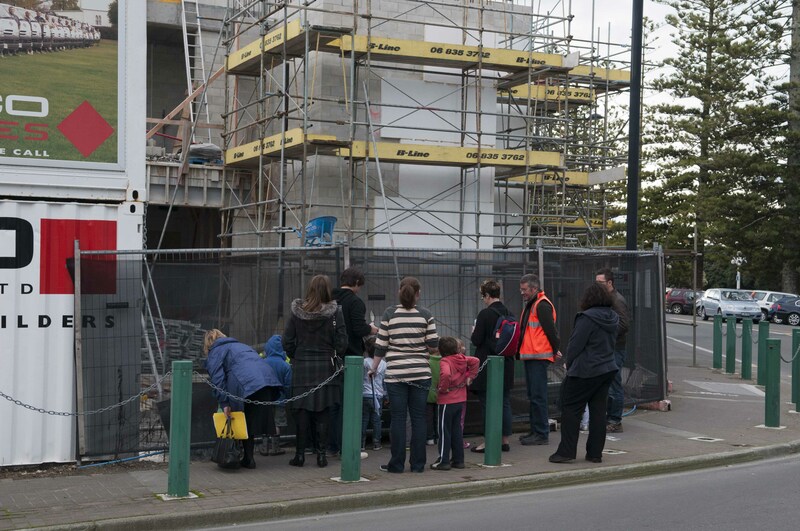 The earthquakes that have been occurring for over a year in Christchurch have had our full attention here at HBMAG. Whirling around in our institutional thoughts are: the damage to, and temporary closures of, the Canterbury Museum and the Christchurch Art Gallery. The Gallery remains closed to the public until 2013 while city council staff are based there, and the Museum is temporally closed whilst further engineering reports are being commissioned and assessed. We hear too of the exceptional assistance that the Air Force Museum has provided to smaller Christchurch institutions. As our collection move finished and our building renovations began, we reviewed our own institutional disaster preparedness. Are we prepared to handle such surprise events? 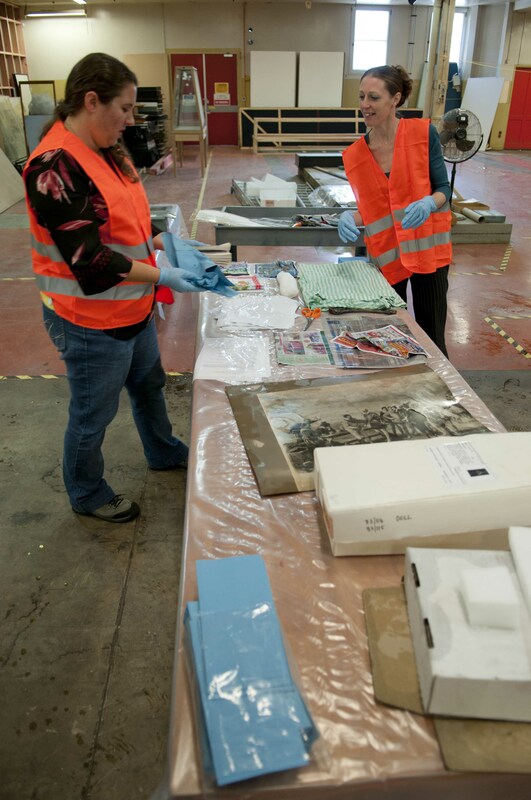 While these thoughts were busily percolating away, Napier City Council contacted the Museum with an offer to attend a training course they had arranged with Triptych Conservation on collection recovery skills for archives, libraries and museums after a water-based incident. This was a full day course of hands-on practice. 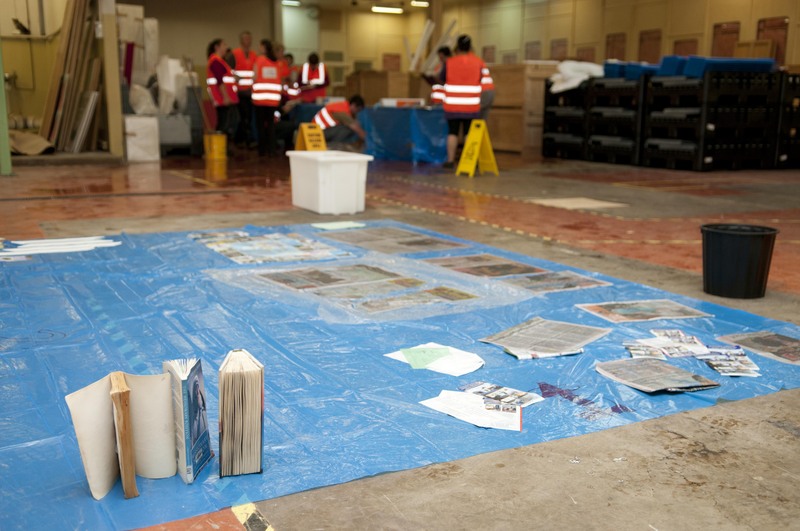 Attendees learnt safe methods of picking up and moving wet papers, books and photographs as well as how to set up areas for sorting objects, and how to track the movement of objects. There was also a section providing advice on setting up a disaster response team. After the training course, there was much discussion within the Museum as to what we would need to do to put together our own comprehensive disaster plan. The training session provided a clear understanding of why such a plan, and relevant staff training, would be a worthy investment of staff time. It also provided the impetus we needed to go ahead with creating the necessary documents. Research has shown that Dplan (www.dplan.org) was the best way to develop our own plan. DPlan provides a template to complete and stores your information securely online for free. It has two different versions so that the joining institution can develop their plan at whatever level is most appropriate for them. Five staff members were chosen to be part of the disaster response team and lead development of the plan. It took the team just over four months to complete the disaster plan. Among the things we had to do were: filling disaster bins with supplies ready for use in any disaster; investigating off-site locations that the collection could be moved to if need be – both locally and further afield; assigning all staff to their roles in the recovery teams; contacting possible sources of supplies to get emergency contact information; mapping the locations of the water and gas turn-off valves, etc. Having a disaster plan in place puts the Museum in a strong position, but it is the staff that are our most important resource. Everyone on the team needs to know what the plan is for and how to use it so training is vital. One of the most important activities of the disaster response team is to develop a wide-ranging and interesting ongoing training plan. Our initial training was a presentation by Civil Defence on how to prepare our homes and families for a disaster. Since then, training has included salvaging wet archive material and a test-run of removing the highest-priority objects from the collection store under time-pressure. Future training will include organising supplies and logistics and a joint fire-response exercise with the Napier Fire Department where, after they practice putting a fire out, we practice cleaning up the objects. Disaster training will continue to be a regular feature of the professional development for the whole team here at the Museum. Today we are pleased to say we have a comprehensive disaster plan and regular staff training in place so we can be as prepared as possible for events that we truly hope never happen! Lately, we’ve been spending rather more time than usual looking over our shoulders – it’s inevitable I suppose that we seek to be reassured by the history of this place as we rush headlong toward the reopening of the Museum next year. 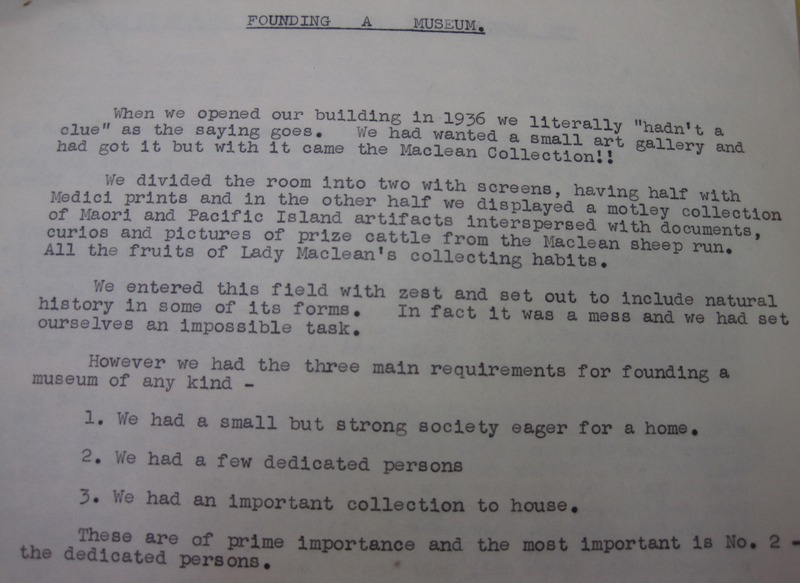 In the weeks before Christmas we chanced across a delightful file of ‘miscellaneous’ papers written by museum directors’ past. During our spare moments we pored over the scraps of paper, reading aloud to each other snippets of this and that – from intriguing anecdotes about the collection, to all sorts of amusing advice about how to run a museum. 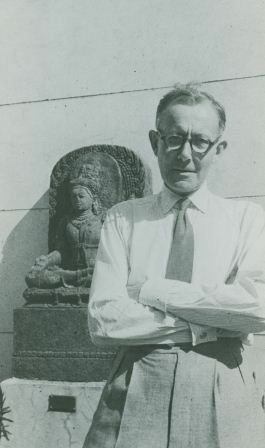 It is the voice of Leo Bestall (1895 – 1959), the Museum’s first Director that dominates these files. I immediately felt a very strong impression of him and was possessed by that nagging desire that inflicts a historian from time to time – to meet the man. How I wish I could have talked to him – if it is possible to know a man at all from the leavings on a few pieces of paper I don’t know – but I thought we might have got along rather well and I felt the disappointment that comes from lifetimes that don’t cross. Working in a museum, a type of public institution that exists in the world mainly because of the passionately obsessive curiosity and drive of particular individuals, long dead men have a way of looming over us. Just as I was feeling over-burdened by the weight of one demanding institutional ancestor – thank you William Colenso – I read these documents and felt Leo shake my brain about even more. Bestall’s perspectives on museums in general, and this one in particular were refreshing and energising. He was no passionless academic, he doesn’t get too tangled in questioning whether museums should exist and why, he knew it and he just got on and did it, scrambled over the hurdles and seemed to have a rather good time. It’s all too easy to feel exhausted by the demands of this new museum we are making, especially now the calendar has ticked around to 2012 and reopening looms just one year away. Bestall’s lessons were good and timely ones for me. 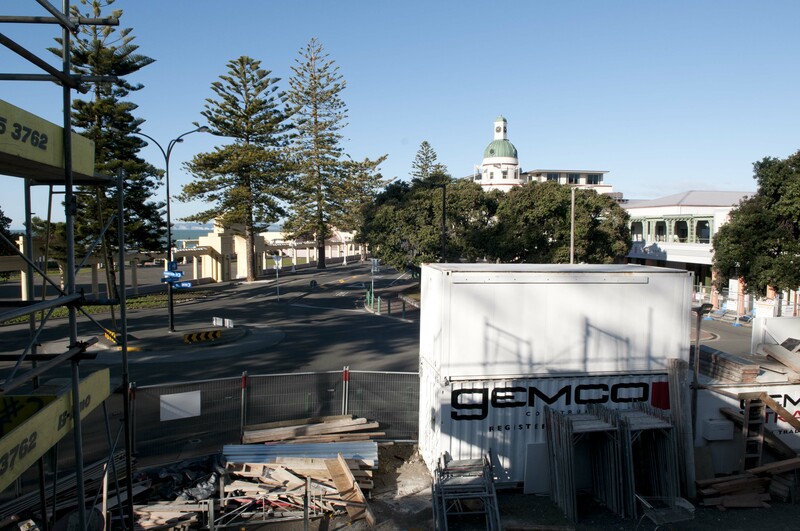 Just before Christmas the whole team visited the museum site to have an explore and share a morning tea with our lovely builders from Gemco. I was particularly keen to get back into the ‘Bestall’ Gallery because the name meant more to me than it had before. Uppermost in my mind as I walked around was the fun and thrill of what we were doing. In particular, I had such pleasure in seeing the restoration of Bestall’s building underway, its galleries are a thing of beauty and I know they will be a pleasure to inhabit in their new form. It was Leo’s vision, and sheer bloody-mindness that made this building in 1936. In proof that passion bears fruit that outlasts us, I think he would be quite delighted to see the HBMAG’s current team wandering about the bones of his building, as alive to its possibilities almost 80 years on. So Leo, a 2012 New Year’s toast to you, thanks for those letters you left behind, we are thinking about you, and we think what you made here in Napier in 1936 was pretty darn fantastic. Welcome to the Hawke’s Bay Museum & Art Gallery’s new blog. Here you’ll be able to get an insider view of the work being done in preparation for the reopened HBMAG coming your way in 2013. At different times different staff from throughout the museum and art gallery will be giving you a glimpse of the projects they are working on, the research being undertaken and the discoveries made. I hope you enjoy this personal behind the scenes tour.